One of our newspapers The Evening Standard is running a campaign to tackle illiteracy in London. According to the paper, one in three children do not own a book and how one million working adults cannot read in the city. I am shocked that so many people are being held back in the world by not be able to read and saddened that so many either do not want to read or do not have access to books to do so. I grew up reading. Books held shape the person I am today. I constantly read through my childhood and teens. I remember reading whilst eating breakfast. Books transport you into another world. They allow you to imagine, to analyse, to dream and to see different places and different things. I find it heartbreaking that some children don’t have a chance or don’t want to discover books. For me, learning to read is as important as learning to walk and talk and yes even breathe. Everyone should have the support they need to be able to read. Even if they never embrace books in the same way I did, everyday life must be a constant struggle if you can’t read – even using a computer requires it. I hope this campaign helps. I hope people who struggle with reading step forward to get help. I hope parents encourage their children to learn. I hope children leave their video games and pick up a book instead. I hope all children have access to books. And I hope books never lose their power to inspire. Can you imagine not be able to read? Reading really is so important and sometimes I feel as though this ‘next generation’ of kids doesn’t get that… Really, you can’t blame them. There’s so much other entertainment in the form of video games, and computer games, and DVD’s that play at home or in the car. IT’s kind of sad. It is sad. Reading shouldn’t be forgotten amongst all the technology. Here, here! Great post. I remember my mom teaching me how to read and write before I even went to kindergarden. I wanted to learn. I hope this campaign helps! Thanks Laura. I don’t understand why parents wouldn’t teach their children like that. I really imagine not being able to read. It’s such a huge part of my day. Of ME. I learned to read shortly after I learned to talk. My dad read to me every night up to a certain point. Then, I started reading (to myself) before bed. And before breakfast. And after school. And in the car (and got in trouble). It has always been my favourite thing to do. I’ve become more aware of literacy issues in the past 5 years. A friend’s mother learned to read at the age of 50! It was a very proud moment, and she now travels with her reading group, and does a lot to increase literacy in her province. I’d like to do more… I just need to think of something that would be effective in The Bahamas. Wow that’s amazing she learnt at that age, just shows it’s never too late! I could never imagine not being able to read and I find it hard to believe that illiteracy is at such a high rate even today. I was always reading when I was a child and nothing will ever make me stop. I can’t imagine not knowing how to read. It is not only a necessity of everyday life but so enjoyable. I can not even fathom being illiterate. So much focus is now put on technology…cells, tvs, computers, gaming etc…and too little focus on the written word. It would be a nightmare. It’s true, we need more focus on reading. If I could not read, I could not write . . . and that would be very SAD indeed. Reading is FUNdamental. I really can’t imagine not being able to read. I’m honestly not sure I would’ve survived my childhood without the escape afforded me in the pages of books . . .
Before I moved back down to L.A., I volunteered with the SMART program: Start Making A Reader Today. There’ve been all kinds of studies (unsurprisingly) showing good readers have much greater degrees of success in later life. The goal of SMART was to help young readers who were struggling discover the joy of reading, and also to give them a couple of books of their own once a month. I loved watching the kids select their books–all the more when a book was their very first! That’s part of why I love Target’s $1 books so much. I love that they’re placed right inside the entryway, so that instead of having to fork over $10 for a book (or schedule library visits, including library return visits), there’s a handful of cheap, ready reading material. It’s not a whole solution, but it’s a great start! That’s a great programme and great to hear you can get books cheaply. Although I’m wary of Kindle they do offer classics for free which is great. 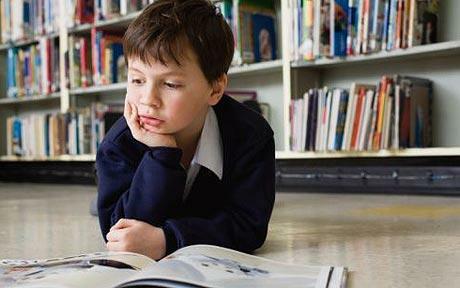 I honestly cannot imagine not being able to read – I have been reading as long as I can remember (as in, my mom made sure all us kids knew how to read well before we went to kindergarten). I completely agree with you when you wrote that reading is a right, not a privilege. How does one make it in our society without knowing how to read?? In high school, I had to take Health class during summer school because it wouldn’t fit into my schedule during the school year. Several of my peers were in the same situation, so there was a handful of us in the class because we couldn’t take it during the year, but there were some kids there who were there b/c they failed health. Our summer school teacher made us all take turns reading aloud from our text book. There were kids in that class who couldn’t make it through one sentence without stumbling over at least one word. It made me really sad to know that there were people who made it to high school without a proper grasp of reading. It pains me to think about kids who haven’t been given the opportunity to learn how to read; or that there are kids who can’t read because people haven’t made time for them/haven’t even given them the chance to learn. It’s hard to imagine, they are missing out on so much! in my school, we have this class once a week where we have to visit the nearby school and teach them English. It’s so sad, looking at them struggling to pronounce those words. I really hope that campaign helps, and that there will be more campaigns like that World over. That’s a great class, well done for helping out! I love this post! Without reading I would be a very sad person since it’s one of my favorite activities. I hope the anti-illiteracy thing works! Yay you’re back! Thanks for re-subscribing, I thought I’d lost you! I don’t know what happened! WordPress just decided I wasn’t subscribed to you anymore! It was quite sad so I just went on your page instead of just looking at who I was following and it said I was unsubscribed! Naughty WordPress! Thanks for coming back! That’s a really interesting article, thanks for posting! I agree, very sad. I can’t imagine my life without books. Books kept me from being a lonely child, and have taught me so much. I love seeing my children learn to read and find themselves through books, too. You’re right, the world seemed a better place when you got lost in a book as a child!